Jamming in the rock room today in tribute to guitarist/songwriter Paul Kantner is a soundboard recording of Jefferson Airplane’s original line up live in Golden Gate Park on May 7, 1969 on a double bill with brothers in cahoots the Grateful Dead. The performance has been released in many different guises both officially and unofficially but the version I am enjoying today comes from a bootleg CD with a purported lineage of being one cassette tape removed from the master. The concert has its moment’s magic but also acts as a nicely captured historical document of a fertile and turbulent era of rock history. The band feels and plays way laid back to the point of almost tipping over while performing for their tribe and the show contains a number of yet to be released songs and one premier. Fred Neil’s ‘Other Side of This Life’ opens the show with a light bubbling introduction that slowly coagulates into a churning palpitation as the band falls into place. The well mixed soundboard features Jack Casady’s heavy Alembic thump and a pleasing balance that shows everyone in the sonic spectrum. ‘Other Side of this Life’ lifts the curtain on the performance and starts the concert ablaze. Kaukonen’s first solo takes a second to get started before it ignites and explodes into the second set of verses where the Airplane choir is in full throat and roars out the ropy melody. The outdoor atmosphere can be felt on the recording through Jorma’s quivering distortion and the natural roominess expressed on the recording. For Kaukonen’s second solo he catches a thread on a nail and lightly pulls unraveling and initiating Dryden’s drums to hit on the head of a railroad rhythm. Kantner then begins to thrash metallic scraps from his Rickenbacker assisting the song in reaching a thrilling and turbulent climax. A swampy ‘Somebody to Love’ follows and begins sounding like a ‘Cream’ song. Slow and stony Grace begins oozing a horny vocal vibe while the band stumbles heroically through the changes. Admittedly, there are some issues here with Jorma sounding like he is having a hard time staying in tune. Finally the vocalists get the energy up in enough time for Kaukonen to take a vibrato but slightly disoriented solo spot. Grace makes a comment about getting the ‘gremlins away from the tuning pegs’ while Kantner strums the opening chords of ‘The Farm’. This is a premier performance for the song and I believe one of only a handful of renditions. Fitting for the spring of 1969 San Francisco environment, Kantner and Slick join forces with Dryden banging on drums for the lilting sing along. Grace scats along with Paul’s endearing deadpan deliveries eliciting the spacious green field melody. A super rare performance and classic cut. ‘Somebody got hit with a chain’, looking for a doctor’, Grace Slick announces from the stage before the next number, an eerie foreshadowing of Altamont which was half a year away. ‘Greasy Heart’ slithers out slicked up and glissades from the speakers on Kaukonen’s milky wah-wah pumping. One of Slick’s finest Airplane tracks in the ‘rock room’s humble opinion this version switches tempo more than a couple times but does settle into a respectable version spotlighting some soaring Slick hollars’. Dripping with sensual psychedelia ‘Greasy Heart’ pumps its lusty rhythms into the May afternoon air. Typical of the outdoor shows of the era, the band deal with some technical issues but kees things light and play their way proudly through any issues with aplomb. Kantner plays the chiming introduction of ‘Good Shepherd’ soon after ‘Greasy Heart’s’ conclusion. In spite of a tentative beginning ‘Good Shepard’ locks hands by the mid song changes and suddenly becomes a stormy folk march with Jorma and Jack getting especially spunky. What makes this version special is that Grace is the lead vocalist and not Jorma who would be on the record. Grace makes the comment that she likes the song at its conclusion and asks Jorma if he wrote it or if it was a traditional song. 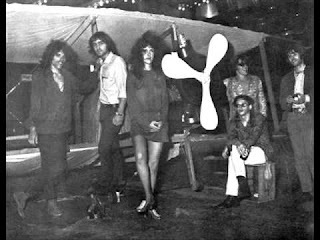 The song is a traditional while being arranged by Jorma into the psychedelic folk ballad disseminated by the Airplane. A sloppy good ‘Plastic Fantastic Lover’ follows with Jorma and Jack almost drowning Balin’s screaming vocals. Dryden slams his drums into submission in a vain effort to keep up with Kaukonen’s resounding string explorations. The groove and Jorma’a endless riffing help to institute a euphoric and dizzying version. A high speed and high intensity ‘Plastic Fantastic Lover’ is always a highlight of Airplane performances. Jorma gets an additional spotlight as the band begins ‘Uncle Sam Blues’, a straight blues number turned into a howling protest against war. A highlight of their 1969 Woodstock performance and other concerts of the era here it is probably the strongest track of the concert thus far. Smoky and contemplative Kaukonen lays it down like silly string, lending the shady changes a day glow accent. His riffs range from watery to over driven to softly muted games of hopscotch across the neck. His last solo is dramatic while melodic and worthy of close inspection. Stinging licks, weedy but fitting vocals and heavy accompaniment by the rhythm section make this song a notable performance for repeated jamming. Another song from the yet to be released Volunteers album follows and this time it’s a funky rendition of the title track. A celebratory reading follows with the three vocalists weaving a stellar blend. The performance matched with the upcoming ‘White Rabbit’ display both ‘big’ Airplane numbers, one well known and one about to be. Kantner’s signature guitar changes are drizzled with sticky Kaukonen licks as the group collaborates on a tasty early version of a classic number. Acid and incense, music and madness this particular song at this specific concert is soaked in the 1960’s and emanates its elements from the aged magnetic tape. The expected ‘White Rabbit’ follows in a version commensurate with other versions and with the intensity of the concert thus far. Grace dedicates the song to a friend in the audience. Nothing to take away from the version, it is just one of many available for those who look. The Bathing at Baxter's song suite ‘Won’t You Try/Saturday Afternoon’ follows with an unfortunate cut right when the winds of discovery start to take hold. What is available is a solid version typical of the era but as previously stated missing the creamy center. The verses are intact. The glistening centerpiece of the performance and the musical mine where all the valuables are located comes in the aptly titled, ‘Jam In the Key of D’. The jam crystallizes from silence and sneaks in concealed in shadow. Constructed of sturdy Jack Casady chording the jam emerges from the mist similarly to a Grateful Dead ‘Dark Star’ jam of the same vintage that would reveal itself from a molecular space. Jorma hits on his stock ‘curly q’ lick which starts to pay dividends as Casady expands his pallet and Kaukonen reaches for alternate expressions. Jorma switches to a softly muted tone which exposes a turnaround in the jam where Dryden begins to pick up the tempo. Jorma attempts to hypnotize himself before letting a violet drone of feedback stretch into the horizon, becoming another theme to peek around the corner at. Casady squawks loudly with a series of fat rolls of sound to which Jorma answers with succinct chirps. The groove morphs again while Kantner is absent and the song begins to feel like a embryonic ‘Hot Tuna’ track. 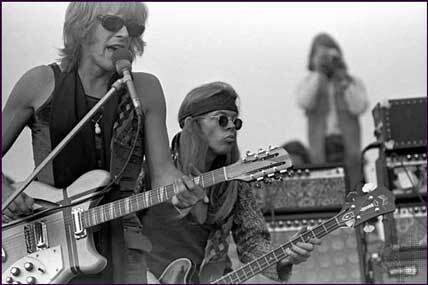 Kaukonen and Dryden enter into a rolling call and response to which Casady keeps the lines of communication open. Jorma stirs the pot with distorted and static chords that increase the tension and bring the jam to the top of another flight of steps. The drums then falls away as Jorma reverberates with a elastically repetitive lick that folds over on itself. The air receives an electric charge and the sound gains form. Casady winds around the post Jorma has planted as Dryden returns and the creation rises again. As the beautiful slice of improve unique to this day in Golden Gate and painted in musical watercolors on the spot concludes, chuckles can be discerned from the stage and then the available tape cuts. Believed to follow but not available on the circulating tape are performances of ‘3/5’s of a Mile in Ten Seconds’ and what would be the first performance of ‘Mexico’. Unfortunately these songs are unavailable on my recording. 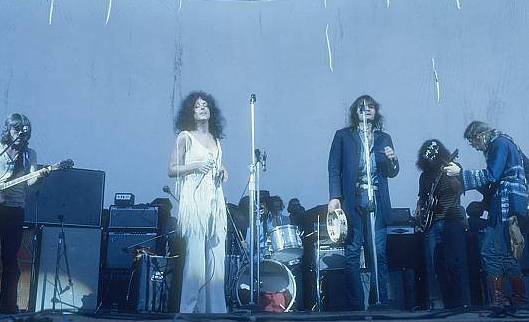 While maybe not at the performance level of the circulating October shows from Winterland, the May 7, 1969 Golden Gate Park of Jefferson Airplane is a crispy soundboard recording of a vital time in San Francisco rock and for the original line up of the band. Within the year the line up would change and soon after Jefferson Airplane would be no more. But for a few unique years the band (along with the Grateful Dead) were the epitome of the mysterious San Francisco sound and the pilots of psychedelic rock. Throw on a version of this recording for another immortalized musical moment filled with performance magic.